Which Type of Red Wine Is the Healthiest? Learning that one of your vices is actually good for you is like finding out Santa Claus is real, has shredded washboard abs, and is also your biological grandfather. It's a pleasant surprise... that might seem a little too good to be true. Consider the long-running belief that red wine is good for you. Of course we want to believe that. But is it really? "I think it's safe to say red wine has some health benefits," said Ginger Hultin, a registered dietitian and spokesperson for the Academy of Nutrition and Dietetics. 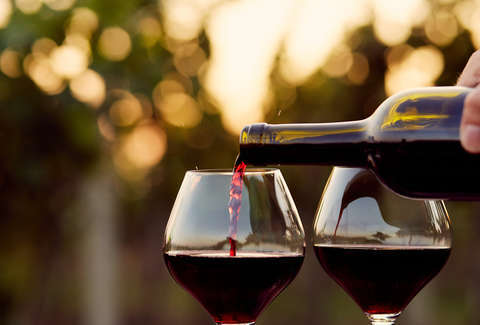 "There's a lot of evidence out there right now, and we can take a pretty strong stance on the viability of red wine's health benefits, especially for cardiovascular issues. Small doses of wine are believed to increase good cholesterol and overall health of the heart." Hultin, who works extensively studying the connections between wine and health and who is also studying to be a sommelier, isn't saying that red wine is objectively healthy. "Before we get caught up in all the potential health positives, we also have to realize the key word is here is moderation," she said. "If you drink wine in excess, the negatives are going to outweigh the positives. Drinking too much will increase cancer risk, can definitely wreak havoc on your immune system and sleeping patterns, and negatively affect so many other areas of your overall health." So, look, you could sit on the internet all day debating the exactitude of red wine's impact on your health. But assuming you can limit your imbibing and you accept the validity of numerous scientific studies (not a given nowadays), you can reasonably assert that wine can be good for you. Which is good news! But what we're here to debate is whether one type of red wine is actually better for you than the rest. Will merlot make your heart feel better than a malbec? Will pinot noir make your ticker run better than a cabernet? To figure it out, we have to look at what makes red wine "healthy" in the first place. Hultin specifically pointed to a phenomenon referred to as the "French Paradox." Essentially, French people commonly drink a ton of red wine and eat a diet with a fairly high amount of saturated fat, yet France remains one of the countries with the lowest rate of heart disease, per capita. 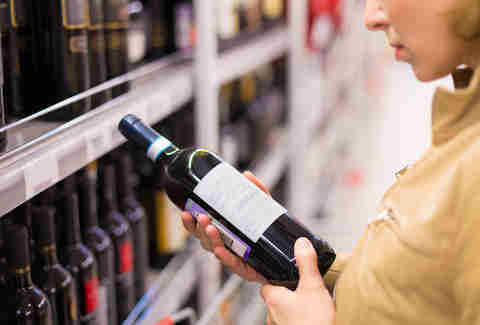 "There could be many reasons for this, of course, but it definitely made researchers start taking a look at people who drink wine regularly, and what it could be potentially doing for long-term health in a positive way," she said. Most studies draw direct correlations between antioxidant content in red wine and positive health benefits. Without getting too bogged down in advanced biology, antioxidants help protect your body from cellular damage. Think of them as little bodyguards that make sure toxic pollutants don't mess with your precious cells, like bouncers making sure those frat dudes in flip-flops don't get into the club and ruin everyone's night. And red wine apparently has a ton of these guys, like Flavonoids, the phenolic compound that gives red wine that dark, burgundy color. It's just one of the components in red wine that can act as an antioxidant. Basically, it's what you want. And all red wines have a significant amount of antioxidants. But do some wines have more antioxidants than others? Well, approximate antioxidant count is difficult to determine, and can even vary from bottle to bottle of the same batch. However, there are a few things you can keep an eye out for. "Pinot noir is believed to traditionally have more antioxidants than other blends," Hultin said. "Also, the newer a wine is, the higher the antioxidant content will be." So apologies to everyone saving that vintage 1951 bottle of Penfolds Grange Hermitage, but a fresh bottle of humble Two Buck Chuck might be a better bet for your health…. if slightly less refined. While antioxidants are (probably!) great for your health, wine has a bunch of stuff in it that isn't exactly stellar for your body. "Just because wine has antioxidants doesn't mean that it's always just going to be great for you," Hultin said. "You also have to factor in caloric content and alcohol content that could offset any benefit from the antioxidants." So if you are drinking glass after glass of heavy red wine with a lot calories and high alcohol content, you will probably end up hurting your body instead of helping it. You need the Goldilocks wine. The perfect compromise. The one that's just right. And you need to drink it in moderation. So, which one is "just right?" Picture a Venn diagram. In one circle, we have a wine type with more antioxidants than others. In the other circle, we have a wine that's fairly new, light in caloric content, and low in alcohol. What we are looking for is that sweet center wine. The one that has it all. Or at least... parts of it all. "I would have to say, a great option would probably be a pinot noir. It's generally believed to have a lot of antioxidants, as I said, and it also doesn't have a ton of calories, nor is it too high in alcohol content," Hultin said. "And again, make sure it's a newer blend." OK! So if you are looking for the best wine to sip once or twice a week, in the name of promoting a healthy heart, you should probably look to pull a Titus Andromedon and opt for a pinot noir from recent years. But it's not just pinot noir or bust. "Are there types of red wine that are healthier than others? I do think so," said Hultin. "But I think the most important thing to take away is that moderation is key. If there is a type of red wine that someone truly enjoys, then maybe they just go with that. As long as you drink responsibly, you should be able to enjoy red wine, and benefit from it, too." Red wine may not be a panacea for all your issues, but if you are smart about it, it can definitely be a plus for your health. And hey, it's definitely fun to drink too. Wil Fulton is a staff writer for Thrillist. He knows how dangerous wine can be. Follow him: @wilfulton.